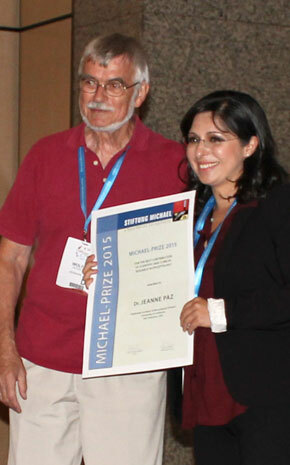 The MICHAEL-PRIZE 2015 acknowledges Dr. Jeanne Paz’s pioneering analysis of circuit mechanisms causing epilepsy after brain injury and her discovery that closed-loop optogenetic approaches can be used to prevent seizure activity from spreading across brain regions. Jeanne Paz earned her undergraduate and graduate degrees from the University Pierre et Marie Curie in Paris. As a graduate student (2003-2007), she studied the role of basal ganglia in regulating absence epilepsy and received an award for the best neuroscience PhD thesis in France in 2007. Dr. Paz also taught Biology and Neuroscience at the University Pierre et Marie Curie as a lecturer (Attache Temporaire d’Enseignement et de Recherche). After receiving a doctorate in Neuroscience, Dr. Paz completed a postdoctoral fellowship at Stanford in California (2007-2012), where she identified seizure control points in the brain. Dr. Paz’s work was the first to reveal that seizures can be instantaneously aborted in real-time with closed-loop optogenetic control of a specific cell type. Her work has been awarded with the prestigious K99/R00 pathway to independence award from the National Institute of Health and National Institute of Neurological Disorders and Stroke (NIH/NINDS) (2012) as well as the Challenge Award from the Citizens United for Research in Epilepsy (CURE) (2013) and the Epilepsy Foundation postdoctoral fellowship (2009). As an assistant investigator at the Gladstone Institute of Neurological Disease, Dr. Paz continues her work in epilepsy by developing a multidisciplinary research program combining engineering, physiology and signal processing to develop approaches that allow us to study in real-time how specific cell types contribute to seizures. 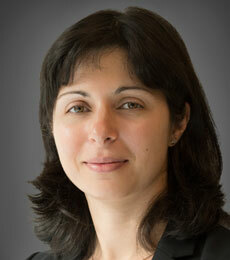 Dr Paz also studies epileptogenesis, the process by which a normal brain develops epilepsy. Dr. Paz is exploring new strategies that block the pathogenic loops that can emerge between the cortical and subcortical brain regions in epileptic models to prevent, control and cure epilepsy. She is also an Assistant Professor of Neurology and a faculty member of the Neuroscience and Biomedical Sciences graduate programs at the University of California, San Francisco. The prize money of € 20.000 was kindly donated by UCB. The Michael Prize 2015 was officially awarded at the 31th International Epilepsy Congress in Istanbul (September 5 - 9, 2015).